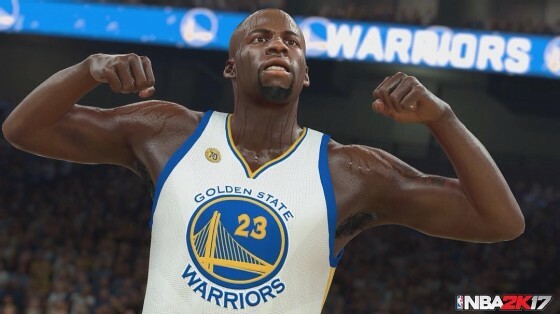 The developers behind the NBA 2K series do more to change the user experience year over year than any other annual sports franchise. Some would say that many times they have taken something that wasn’t broke and broken it. In other instances, some would say they took something that was broken, and broke it some more. And then of course, other times some would say they’ve taken something that was broken and made it much better. For instance, this year there have been some improvements to the controls that are worthy of praise. That’s the catch phrase of Nino “Da Czar” Samuel, now in his second full year as offensive producer for NBA 2K. Him and Scott “OG” O’Gallagher — doing work on the defensive side — have completely revolutionized play calling and sets that faithfully re-create the nuts and bolts of NBA basketball. Starting with last year’s game, players who actually ran plays and executed them well generally decimated a button masher. The problem with play calling last year was that it required so many button combinations that you would think you were entering the Konami code. This year the controls have been streamlined. Dare I say, they’re actually very intuitive. Just press L1 (or LB) and flick the right stick in a direction to run a play — these four sets seem to change based on personnel and situation. This works similarly on offense and defense. On offense if you want to continue to feed the hot hand, just hit LB (or L1) and the corresponding button mapped to the player you’d like to select (similar to last season). This will give you all of the plays available for that player (there could be multiple pages from which to cycle). Granted, the controls to “call somebody’s number” can get a little convoluted during the course of the game, but it’s still a nice step forward for the franchise overall. If you’ve put any amount of time into MyCareer, you know that 2K manufactures a friendship between you and teammate Justice Young. During a chance hangout session watching classic NBA Bulls games, they are inspired to call themselves “Orange Juice.” While the name is groan worthy, how it manifests itself is not. Every time the two of you connect on offense via assist-related plays, an orange halo pulses around both players. Do it enough in a game and the two of you enter “The Zone.” The orange halo stays lit and Orange Juice can put the “Squeeze” on opponents by using the D-pad to perform actions from isolation sets to alley-oops. You effectively, as the user, now control two players on the court instead of one — and it really couldn’t be easier. In short, I’m really enjoying calling plays to play basketball in both regular games and MyCareer. It’s really the first time that I’ve been able to say that while playing 2K. What about you?